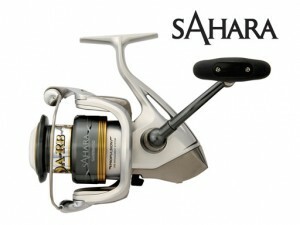 The type of fishing situation will determine the type of line needed for the Shimano spinning reel. The most line weight needed for a spinning reel is usually 10 lbs or less. Using more than this weight can cause backlash and other problems. Beside the line weight, anglers also consider their fishing situation. When fishing in or around rocks, anglers tend to use the monofilament line that is tough or extra tough. If the water is clear, fluorocarbon line works great for this situation. Last but not least, when fishing around the lily pads or grassy area, try using the braid or fused line. This entry was posted on Thursday, May 5th, 2011 at 11:37 am	and is filed under Fishing Equipment, Fishing Reels, Lures, Spinning Reels. You can follow any responses to this entry through the RSS 2.0 feed. You can skip to the end and leave a response. Pinging is currently not allowed.